We have several different options to offer, including Fabsta Curved™, Fabsta Vertical ™, Fabsta Plus™ (used with TV and Tablet), Fabsta Podium™ and even Fabsta Outdoors™! Each one has its own advantage of attracting customers and brings business. Each one is sure to bring attention to where you need it! But which one is right for me, you ask? Let's take a look and break down each one! The Fabsta Curve™ comes with an easy to set up aluminum frame and a fully dye sublimated fabric sleeve that fits over the frame perfectly. This is perfect for a quick and easy set up! The back easily zips up form fitting to the shape of the stand. 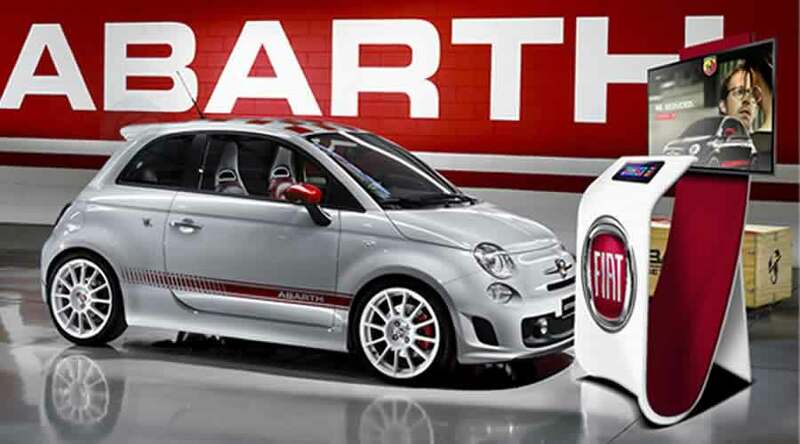 This futuristic design has changed the shape of advertising, and raised the bar for all visual displays. The sleek look will attract customers and will help elevate your brand. 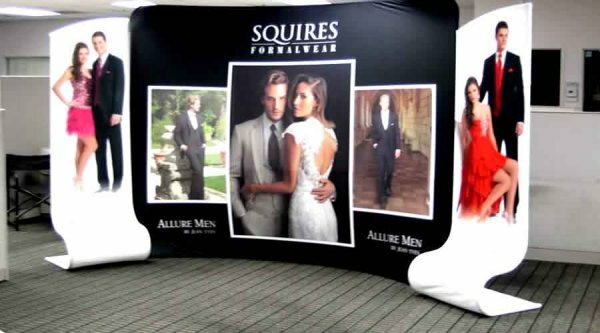 Since this is Dye Sublimated, we will get the vibrant colors you're looking for to make your artwork POP. The Fabsta Vertical™ is a very similar shape to the Fabsta curved, however it stands more erect. The aluminum frame is easy to put together, and the polyester blend material easily fits over the frame. There is a zipper at the back that when zipped closed makes the Fabsta Vertical™ skin fit nice and snug. 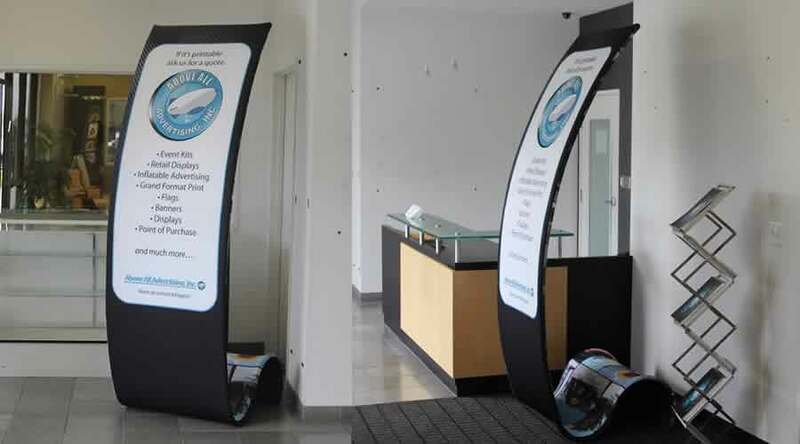 This display is sure to attract new customers, as its elegant look and overall presents of the Fabsta Vertical™ is extremely eye catching. Our Fabsta Plus™ is truly a top of the line product. Tablet and LCD installation has been built into its construction in order to deliver additional flexibility and versatility. Installed in to this Fabsta Plus™ for the top of the line quality. This product is sure to grab attention from all around! Our society is heading towards technology, and this Fabsta Plus™ will keep you up to track! It comes with an aluminum frame and a stretchy polyester skin that is zipped taught to the frame with the back zipper. The Fabsta Outdoor™ is offered in multiple sizes, to fit your needs. This fantastic product solves the need for our growing outdoor demands. The base of this product was created to weight the unit down when is use using water or sand. The aluminum frame easily snaps together, forming the shape. The skin is a polyester blend material with a zipper to the sides of frame. Simply zip the skin up and it will be pulled taunt for your display. 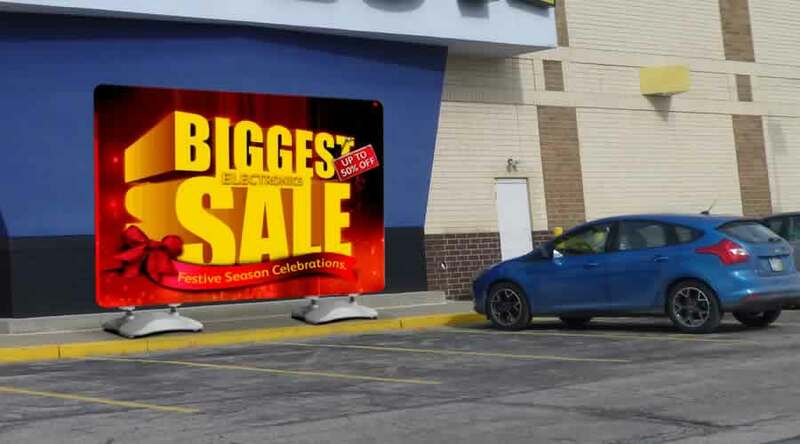 The Fabsta Outdoor™ is sure to bring in all the attention to your shop front! 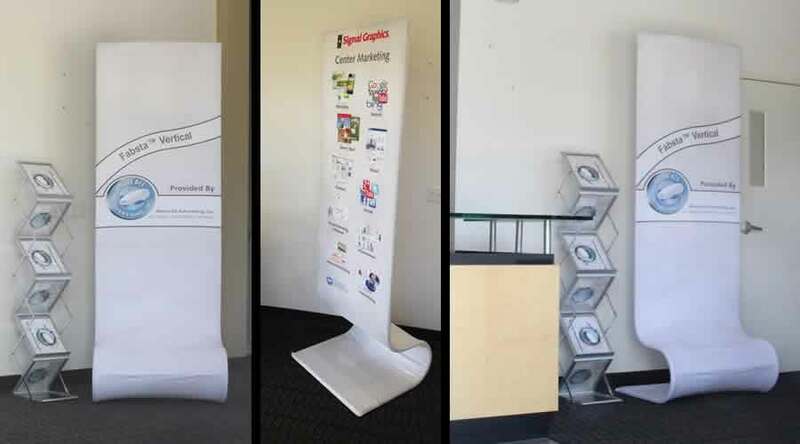 If you are interested in purchasing these fantastic InstaFab™ or Fabsta™ Displays, please contact your local sales rep at our toll free number, 1-866-552-2683!